Update your google readers & bookmarks! We are blogging regularly & putting on TONS of wedding planning advice & our thoughts on reception locations, etc. This place is absolutely fantastic! I get flutters in my stomach...in a good way. Yes, we know we promised pictures. But we have some news instead! We've been holding off doing all the blogging that we have backed up because we want to feature it on our shiny, flashy, lovely new blog! It will be ready in about 2 days for its big reveal! We are so excited!! Additionally, we have a brand-spankin' new website that we are just totally in love with. We will be revealing that on the same day. Stay tuned!! Hope ya'll are enjoying the snow. It can be romantic you know. Hot chocolate, cute scarves, bundle up & go for a walk. That is what we are doing tonight. mean security lady: "Where are you going?" mean security lady: "that sounds like a question. dont you know where you are going?" mean security lady: What are you going there for? me: oh I shoot weddings. mean security lady: (eyes alarmed. only hearing the word "shoot") what?! mean security lady: long akward pause as she studies if i can hold her gaze (which of course I cant, I mean im looking up to the right.......) .......akward time passing....me wondering if I should break out pictures of rockwell so that she sees that im not a criminal, cause criminals dont have kids, right? RIGHT?? ..... (breaks into a smile) you have a nice trip. GOOD LUCK. me: (flood of relief. breath again)Thanks! this is my first time on a business trip alone. mean security lady: I couldnt tell (thick sarcasm). Eternal Reflections Photography & Studios is now pleased to annouce that we are taking bookings for Wedding Photography in Drayton Valley. 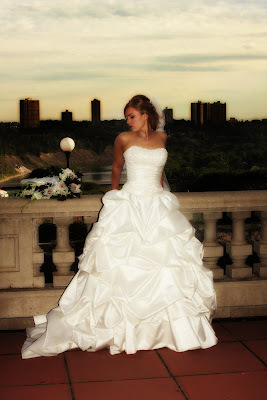 Drayton Valley Weddings have a fantastic feel to them. The most incredible nature surrounds Drayton Valley and incorperating that into the photographs is only natural. Drayton Valley also boats some fantastic rustic & colored walls that can give such nice variety to the photographs. Wedding Photographs from Drayton Valley weddings always have such nice variety and are always among some of our favorite shots! Not to mention that the people there are always super nice & up for some very chic and fantastic photography! The new Mackenzie Conference Centre will be linked to the Omniplex and will be able to provide space for 416 people in a dining setting and 522 people in a lecture setting. Once it is opened to the Curling Rink Lounge it will have a maximum capacity of 624 in a dining setup and 842 in a lecture setup. It has the ability to be divided into two sections in case you want to separate your functions, allowing for two different activities to occur simultaneously. 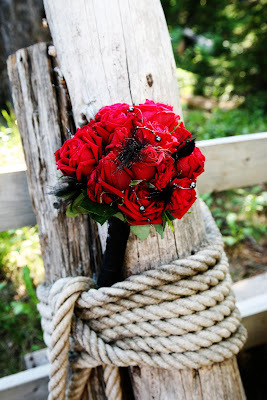 email us love@eternalreflectionsphoto.com as soon as possible if you are planning a drayton valley wedding.